Owning a fridge at home isn’t something that is a luxury anymore. Every household finds the need for it to store food and beverages and a dysfunctional fridge results in food rotting which when consumed unknowingly can result in bad health. Improper cooling, bad odour and weird noises are signs that the refrigerator needs attention.There can be no one better than us to help you out with fridge repairs especially when you need it to get back to normal at the soonest. With numerous years of experience up our sleeves, we ensure that your fridge gets the right attention. We put to use genuine parts when it requires repair and replacement while assuring that you wouldn’t have to purchase a new one any sooner. 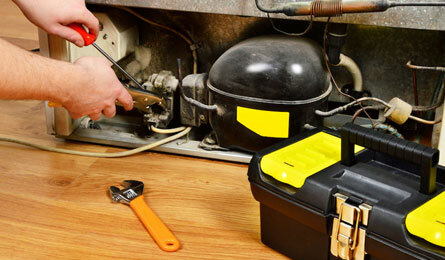 Here are issues that we can resolve when it comes to residential fridge repair services.